GALION — With only one farmers market open in Galion this summer, organizers are trying to do a little something different to get local residents involved. According to Jan Mizell, God’s Little Acre farmers market is an outreach program of the First Presbyterian Church. 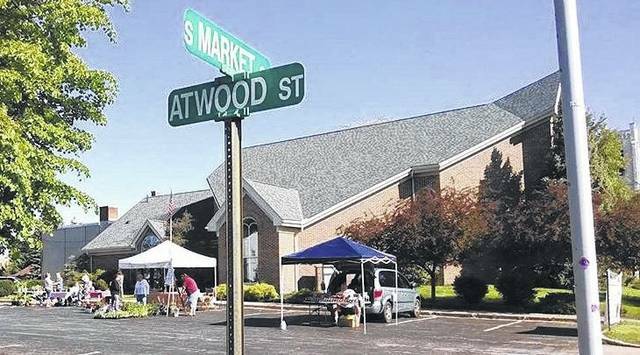 The market is also having special events to get visitors to its site on the corner of Atwood and South Market streets in the church parking lot. Story Time will take place the third Saturday of each month. Volunteers from the Richland County Humane Society will be at the market Saturday from 9 a.m. to noon. You can meet Wallace there. The pup is looking fore a home. There also will be some kittens available for adoption. The market also have has available — from local suppliers — naturally raised meats (pork, beef, chicken), baked goods, jewelry, crafts, knitted, crocheted and needle-craft items and more. There is no set-up fee for vendors, but the market requires that products are homemade or homegrown and adhere to health and safety regulations. When shoppers spend $10 at the market they earn $3 in coupons which can be spent like cash at a future market. Some vendors accept credit and SNAP. “We are giving an opportunity to groups and organizations who provide services to children, elderly, disabled, disadvantaged or generally improve the quality of life for residents of our area a format to spread the word about their programs and services … again at no cost,” Mizell said. Other events scheduled this summer include an opportunity to talk with representatives and get information from the Department of Veterans Affairs on July 1. Also on that day, local musician Nate Sherer will provide musical entertainment. On July 22, the Galion Health Department will be doing child safety seat inspections. You can check out the market’s Facebook page for more information. Submitted photo Wallace, along with some kittens, is looking for a new home. You can meet Wallace at God’s Little Acre Farmers Market at the First Presbyterian Church parking lot, 240 S. Market St. from 9 a.m. to noon Saturday. Wallace and volunteers from the Richland County Humane Society will be on hand to chat about pet adoptions. https://www.galioninquirer.com/wp-content/uploads/sites/38/2017/06/web1_Gods-Acres-Farmer-s-Market.jpgSubmitted photo Wallace, along with some kittens, is looking for a new home. You can meet Wallace at God’s Little Acre Farmers Market at the First Presbyterian Church parking lot, 240 S. Market St. from 9 a.m. to noon Saturday. Wallace and volunteers from the Richland County Humane Society will be on hand to chat about pet adoptions. God’s Little Acre Farmer’s Market is open each Saturday from 9 a.m. to noon at the corner of South Market and Atwood streets. 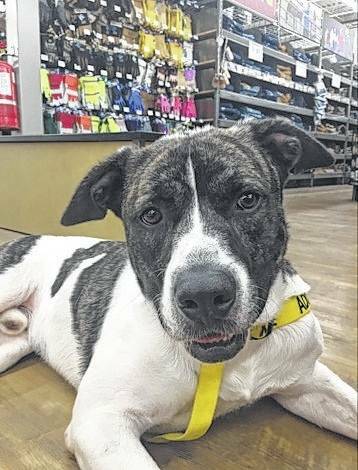 The market is an outreach program of First Presbyterian Church and the organizers are trying to incorporate new things into the market, such as Library Story Time and pet adoptions through the Richland County Humane Society.